SAG-AFTRA has called a strike against advertising agency Bartle Bogle Hegarty, LLC (BBH) after the union’s National Board unanimously voted to issue a strike authorization. Members have been instructed to not accept any work for BBH, which the union contends is illegally attempting to abandon its contract with SAG-AFTRA. “The integrity of good business is based upon parties adhering to their mutual contracts. BBH’s decision to abandon their commitment and responsibilities to our collective bargaining agreement by shooting non-union is not only unethical, it undermines a working actor’s right to fair wages, health care and on-set safety. These actions are unacceptable, and we will take a stand. 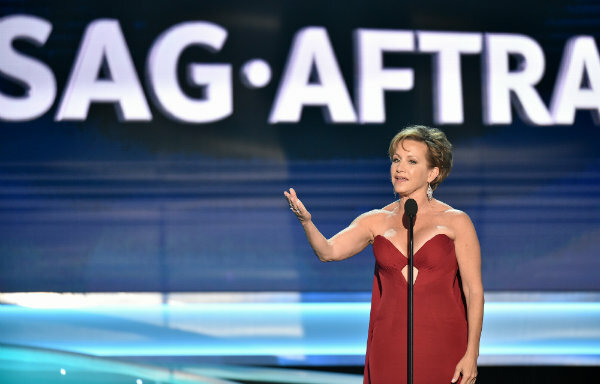 Strength in unity,” said Gabrielle Carteris, president of SAG-AFTRA. BBH is owned by Publicis Groupe, a multinational communications and marketing company that owns several ad agencies. Some of those agencies are signed to the SAG-AFTRA Commercials Contracts, including Saatchi & Saatchi and Leo Burnett. The strike is called against BBH only, therefore members can work for other signatory Publicis Groupe ad agencies--or any other agency signed to the SAG-AFTRA Commercials Contracts--during the strike. “BBH US is privileged to work with the creative community’s best of the best. We thank you for being our partner in the work we love, using our combined creative power to produce ambitious ideas for ambitious clients. Your involvement in our work is crucial to delivering the high-caliber products our clients have come to expect from us. “It’s precisely because we respect your contribution that we want to communicate directly to you about why BBH US has decided to exercise our legal right to not renew our participation as a signatory to the SAG-AFTRA contract. “In short, we are hired to operate in the best interests of our clients, and part of that is being able to deliver the greatest level of flexibility and value for the work we do. We are simply looking to level the playing field for all of us. The current contract was put in place nearly 20 years ago, when the internet was in its infancy and the advertising world was a vastly different place, with vastly different economics. The cutting-edge work we do at BBH US across all mediums is not well-served by a contract that was designed for a traditional media landscape. The need for speed, agility, and greater efficiencies in how we produce work has become increasingly important in today’s market. Many of our peer agencies are not signatories, making it hard to compete sustainably in a way that benefits our clients. “We immensely value the creative talent we work with, and this decision does not change our commitment to fair wages and working conditions. We simply need the flexibility that this current contract does not allow in order to continue to do great work with great actors, both SAG-AFTRA and non-SAG-AFTRA talent alike.